The start of a new School year is always an exciting time, though getting back into a routine after a relaxing summer break can be tough, not just for kids but for busy Mums too! These pizza rolls are a fun, easy and portable way to get ahead and organised for the start of term. They're perfect for lunch boxes, picnics and snacks. 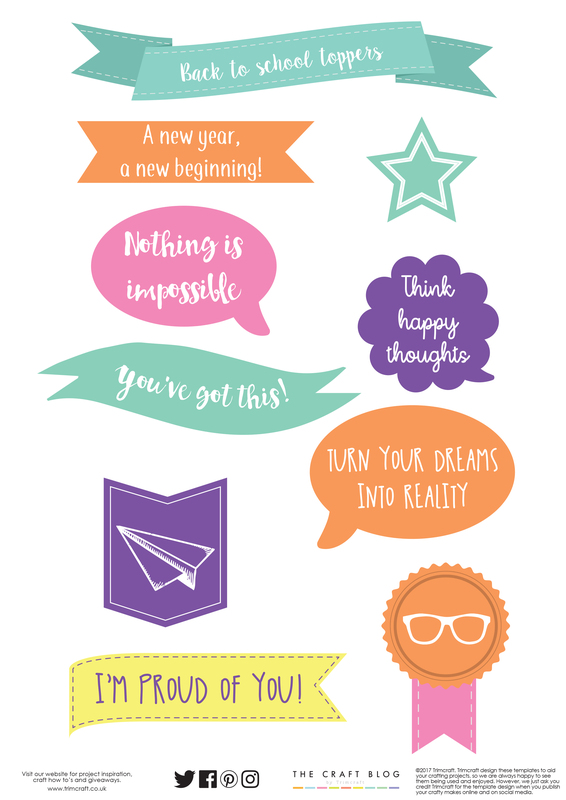 Pair them with Trimcraft's downloadable, inspirational flag toppers, just in case motivation is starting to flag come lunchtime! 1. Place the plain flour, salt, yeast and sugar into a mixing bowl. Stir the mix with a spoon to combine all the ingredients. 2. Add all of the olive oil then add the water, a little at a time, until the mix comes together to form a soft dough. Turn out onto a well floured surface and knead for 5 to 10 minutes, until the dough is smooth and elastic. 3. Place the dough back into the mixing bowl, cover with cling film and allow to prove for around an hour, until the dough has risen and doubled in size. 4. Prepare the muffin tin by lightly greasing each hole to ensure a quick release from the tray after baking. 5. On a well floured surface roll the dough into a rectangle, roughly measuring 20cm x 30cm. Spread the tomato puree over the dough, then break the mozzarella into small pieces and scatter all over. Sprinkle over the oregano, add a pinch of salt and a good grind of black pepper. 6. Starting from the long side of the rectangle roll the dough tightly into a spiral. 7. Using a sharp knife Cut the dough in half then divide each half into 3 pieces. 8. Place each piece cut side up into a muffin tin. Cover with cling film and allow to prove for a further 25 minutes. 9. Pre-heat oven to 175°C /160°C fan/gas mark 4. 10. Bake the rolls for 30 to 35 minutes until golden brown. 11. Transfer to a wire rack to cool. 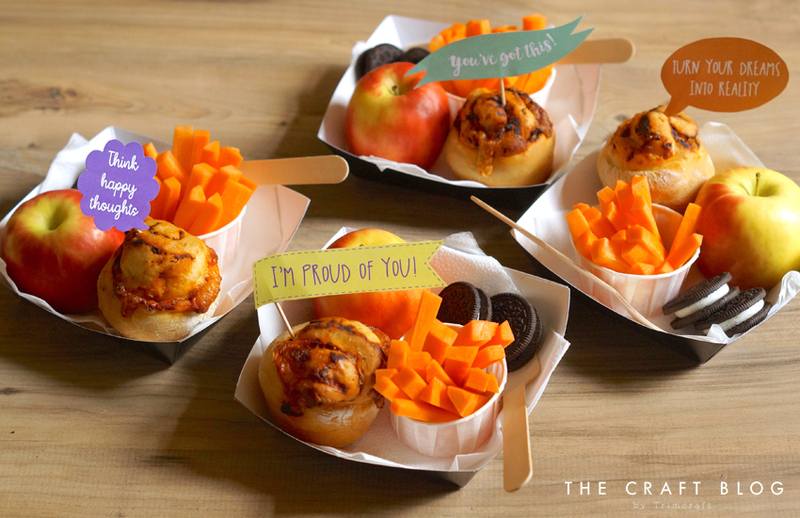 Download and print our free tags, wrap them around a cocktail stick and place them into the pizza rolls to motivate your little one! These rolls can be baked in advance and stored for up to a month in the freezer, ready and waiting in the wings for busy days. Get creative with the fillings, any of your favourite pizza toppings will work, I really like to add ham or pepperoni. Feel free to mix up the cheese also, if you don't have any mozzarella, cheddar will be just as delicious. For a quick pizza dinner, skip steps 6 and 7 and 8, place the dough onto an oven tray lined with silicone paper and follow on from step 9 for baking. We'd love to see your back to school bakes so don't forget to #trimcraft and @elle_jane_ when uploading to social media! Thanks sooo much for this awesome recipee. It´s just what we needed here to make something different for the kids lunchboxes. They always get sooo tired of the traditional ones and this is a plesant change to that, and with these nice comments to go with it, they´ll love to open their box next time, I´m sure.